With outstanding innovations that are sure to amaze many attendees, the winners of the formnext Start-up Challenge 2017 are set to reveal future directions the additive manufacturing sector could take. 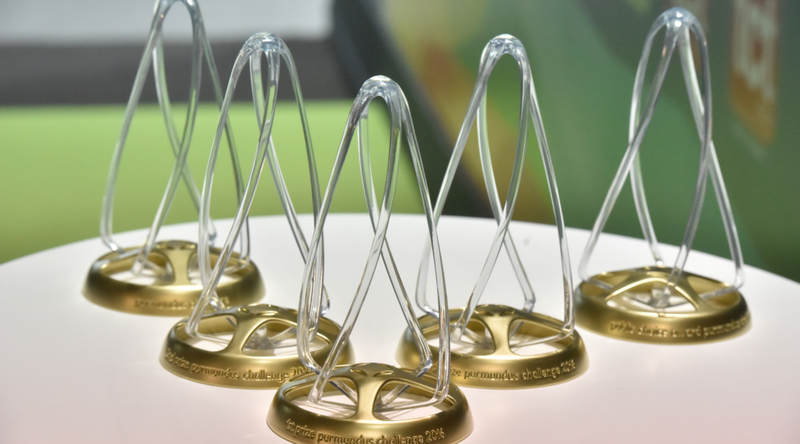 AIM3D, AM Technologies, Authentise, Elementum 3D, and Identify3D are the names of the young companies whose entries have won over this year’s international jury. 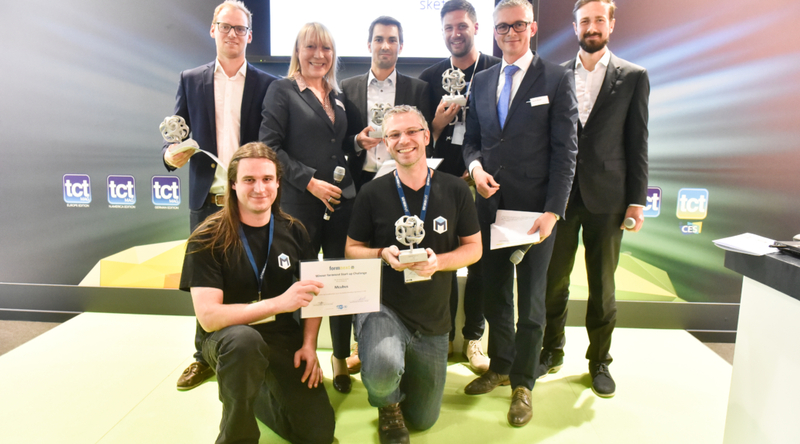 In awarding prizes to firms from Germany, Great Britain, and the United States, formnext powered by tct is also demonstrating its ability to attract up-and-coming innovators from around the world. The Start-up Challenge, which was held in cooperation with the MUST 3D Printing network this year, enables the exhibition to recognize creative young companies in additive technology on an annual basis. In addition to software solutions for automation and the entire supply chain, one of the five winning companies of 2017 has unveiled a new type of technology capable of producing high-quality surfaces. Several developments in new materials and a 3D printer that facilitates faster, more cost-effective production of metal components will also receive accolades. The five winners’ appearances at the exhibition, which include booths in the Start-up Area, are being sponsored by formnext. 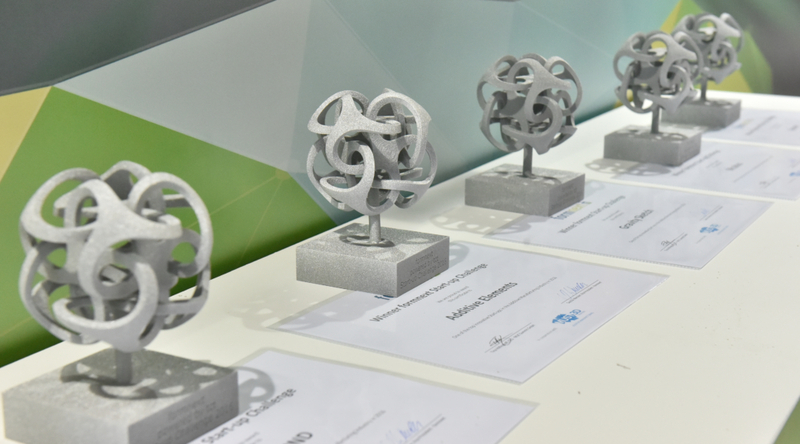 The awards – 3D-printed, of course, courtesy of Voxeljet – will be officially presented on the tct introducing @ formnext stage at 5:00 p.m on the first day of formnext 2017 (Tuesday, 14 November, Hall 3.1, B10). “formnext gives young, award-winning companies like these the chance to present themselves and their products to a highly qualified international audience on our innovative exhibition platform,” states Sascha F. Wenzler, Vice President for formnext at exhibition organizer Mesago Messe Frankfurt GmbH. In the exhibition’s Start-up Area, the year’s winners will be offering visitors a look at current innovations in additive manufacturing and a glimpse of where the industry is likely headed. “Our attendees will encounter some highly intriguing solutions based on this exciting technology, which we hope will inspire them in plenty of other areas,” Wenzler adds. 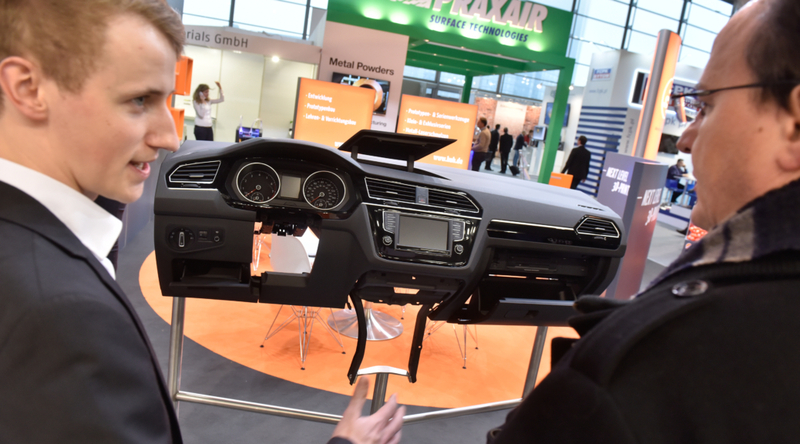 AIM3D GmbH captured the jury’s attention with its new 3D metal-printing technology. Founded in 2017 as a spin-off of the University of Rostock, the company plans to bring its ExAM255 series printer to market next year. Here, AIM3D employs a technique known as composite extrusion modeling (CEM), which combines additive manufacturing with metal injection molding. The procedure turns inexpensive metal injection molding granulate into fine filament that is applied in layers. This results in green bodies that can then be sintered into finished parts. Hailing from Sheffield, England, AMT will also be at formnext to showcase its intelligent, automated post-processing solution for 3D-printed polymer components. The company’s patented PostPro3D technology (which itself is based on boundary-layer automated smoothing technology, or BLAST) is said to produce a level of surface quality comparable to injection molding. AMT also states that this innovation saves time and money in production. Authentise, a company founded in Silicon Valley in 2012, provides software designed to automate and monitor AM operations. With two of its modules – the 3Diax modular platform and the Authentise Manufacturing Execution System – users can implement automated order processing in additive manufacturing, which Authentise says ultimately reduces per-unit costs while speeding up production. Elementum 3D specializes in the development of high-performance materials for 3D printing, including special metals, ceramics, and composites. A partner of EOS, the company wants to devise 3D materials that transcend the known limits of density and even particle distribution using its patented reactive additive manufacturing (RAM) technology. Identify3D, which was founded in San Francisco in 2014, has developed digital supply chain software that adapts processes and products to established engineering standards. This enables it to offer quality assurance that covers everything from initial designs to finished products. At the same time, the software is intended to help engineers make the right decisions in creating new products and optimizing existing ones. For more information, please visit formnext.de/startupchallenge. 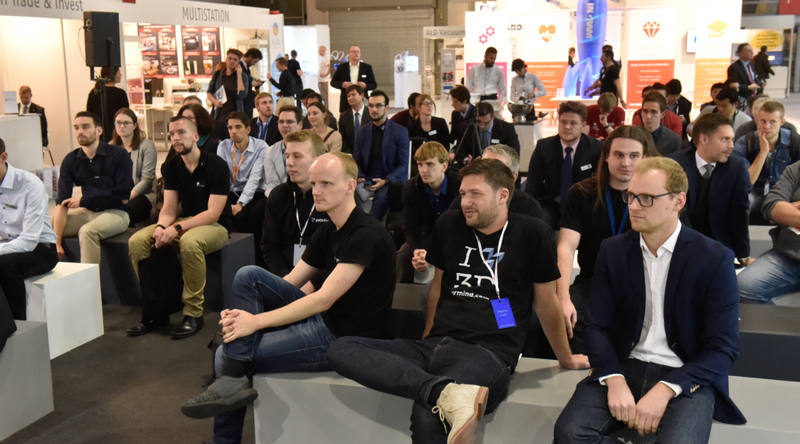 The “am4u” platform at formnext powered by tct combines opportunities for careers, networks, and personal contacts for the additive manufacturing industry. This combination enables the event to offer a wide range of possibilities and detailed information not only for companies but also for professional newcomers, experts and executives interested in this exciting sector. forum “AM – Mehr-Wert für die Industrie” (Additive Manufacturing – Added Value for Industry) on 14 November 2017. On the careers stage, exhibitors will be showcasing career opportunities and other prospects within their company, from midday onwards. Universities, institutes, and educational institutions will be presenting their study programs and further training opportunities. Recruiting experts from proJob Personal- und Unternehmensberatung GmbH will be on hand to provide visitors with in-depth career consulting. They will also be offering advice on writing applications and résumés. Between 9 a.m. and 6 p.m., visitors will also be able to haveprofessional job application photographs taken free of charge. On Tuesday, 14 November 2017 at 3:15 p.m. visitors can discover how mechanical engineering companies can make use of additive manufacturing and enter this field of technology at the additive manufacturing forum on generating added value for mechanical engineering (“AM – Mehrwert für die Industrie”), organized by the VDMA (Germany’s Mechanical Engineering Industry Association). The programme includes five talks by representatives from industry who will share their experiences of using additive manufacturing tools and components. Amongst the speakers is Dr. Waldemar Sokolowski from the company Oskar Frech GmbH & Co KG, who will talk about optimized high pressure die casting using conformal cooling: Efficient temperature control enables high product quality, shorter cycle times and a longer tool life. In addition to the SMS Group, Hirschvogel and EDAG, Dr. Böhme from the company Poligrat GmbH will be reporting on defined surface areas of AM components and the significance of this. To implement business ideas even more successfully, formnext visitors and exhibitors can take part in the international cooperation exchange, which will be hosted by Enterprise Europe Network and Hessen Trade & Invest GmbH on Wednesday, 15 November 2017. “Visitors will not only discover new innovative technologies, but also have the opportunity to discuss concrete ideas, projects, and innovations, while expanding their network of international business opportunities”, added Anne-Kathrin Hötter. To attend the cooperation exchange free of charge, companies and research institutes can register in advance at http://www.b2match.eu/formnext2017 and specify their cooperation wishes. 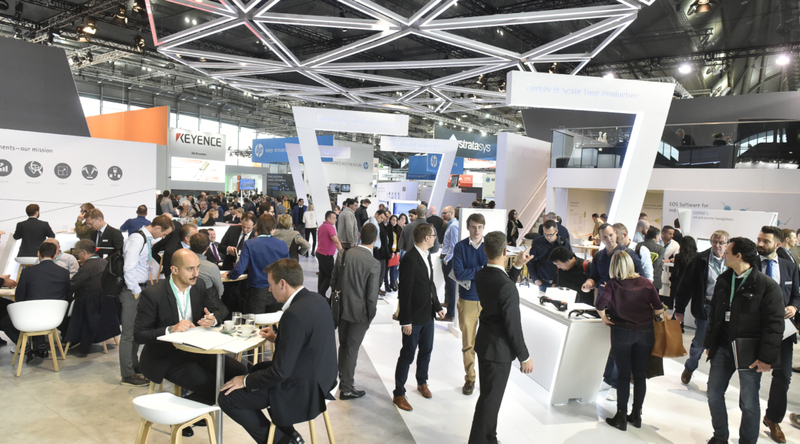 With an impressive 50 percent increase in the number of exhibitors compared to last year, formnext powered by tct 2017 continues its strong growth trend. The formnext exhibition, which is scheduled to take place for the third time on 14-17 November 2017 in Frankfurt am Main, also sets new standards thanks to its strong international presence, exceptional variety of global market leaders, and sheer density of innovations from areas along the entire process chain. A multifaceted and innovative program of supporting events provides extra added value. 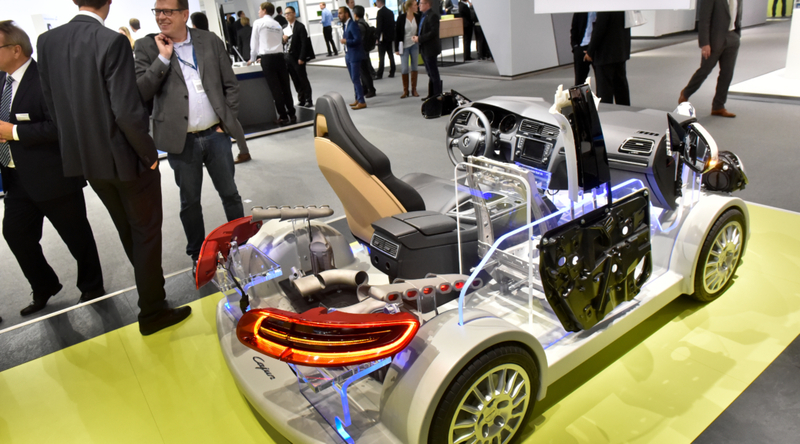 Under the theme “international exhibition and conference on the next generation of manufacturing technologies,” formnext boasts an impressive international presence of around 49.6 percent, with participating companies from 33 countries. The top countries in terms of exhibitors are China (accounting for 14.7% of international exhibitors); the USA (10.2%); France and Great Britain (each with 9.6%); Spain (7.1%); and the Netherlands, Austria, and Russia (each with 6.1%). In 2017, formnext will once again present the global elite in additive manufacturing, including 3D Systems, Additive Industries, Arburg, BigRep, Concept Laser, Dassault, Envisiontec, EOS, Formlabs, FIT, HP, Keyence, Materialise, O.R. Laser, Prodways, Renishaw, Ricoh, Sisma, SLM Solutions, Stratasys, Trumpf, Voxeljet, XJet, and, for the first time this year, Desktop Metal, and the GE “AM family” will be together under the same roof for the first time. An array of highly innovative young AM companies from all across the world will be showing off their latest developments, as well. Visitors to formnext will be treated to numerous world and European premieres as well as technology-driven product developments. “We are proud of the fact that we have been able to expand into more specialized fields along the process chain,” says Sascha Wenzler. formnext will also be showcasing some of the world’s most sophisticated technology in various other industry sectors. 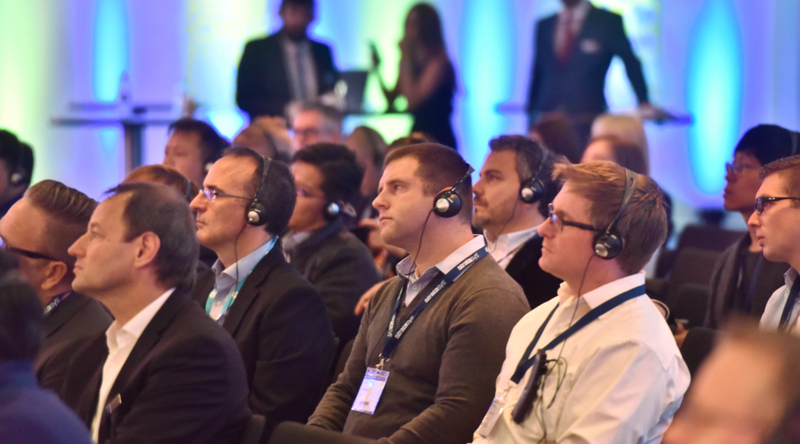 Featuring global innovation leaders like BASF, Böhler Edelstahl, Heraeus, Höganäs, Linde, LPW, Sandvik, and Airbus subsidiary APWorks, the lineup in materials will be even stronger than it was last year. From the mechanical engineering industry, first-rate representatives from the likes of DMG-Mori, Hage, Hermle, Matsuura und Sodick will be in attendance and will present, among other things, the latest developments in hybrid machines. Finally, formnext will be expanding further in measurement technology and postprocessing (Faro, Joke, Nikon, Wenzel, Werth Messtechnik, and more), as well as in software – with Additive Works, Altair, Dassault Systèmes, IKOffice, MachineWorks, Sigma Labs, and others. As of 2017, formnext’s new conceptual sponsor, the VDMA’s Working Group Additive Manufacturing (AG AM), will also be supporting the continued successful development of the exhibition. The AG AM will also be in attendance with its own booth, featuring a range of exhibits from its members. In the Start-up Challenge, promising young companies will also be recognized and have their chance to exhibit at formnext in an area bearing the same name. With the theme “Fusion – Intelligent Combinations in 3D Printing,” the purmundus challenge at formnext 2017 will recognize creative companies who enrich our lives with their ideas for products and developments in 3D printing. 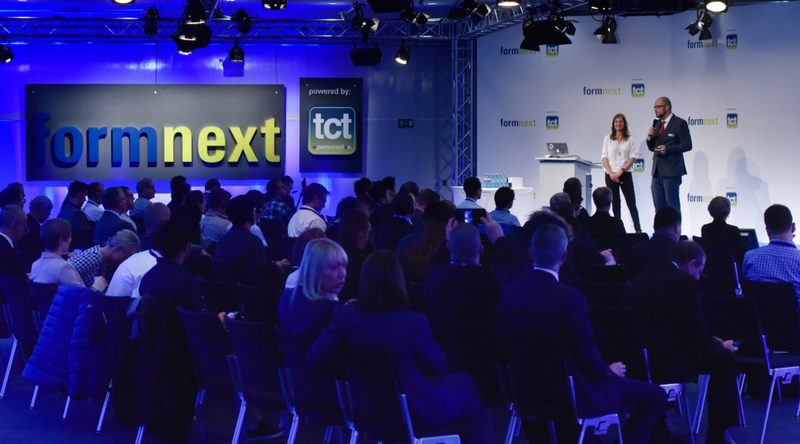 Following the huge success of previous years, the formnext powered by tct conference will present the future of additive manufacturing for the first time on two stages in parallel, on all four days of the event. The conference will therefore feature twice as many presentations as before, while showing the applications, developments, and findings of leading international industrial companies and research institutions such as Airbus, Deutsche Bahn, Honeywell, Premium Aerotec, and Volkswagen. The formnext 2017 conference is an international think tank that provides exceptional added value to participants. For more information, see formnext.com. In his keynote, Uwe Fresenborg, Chairman of the Board of Managing Directors at DB Fahrzeuginstandhaltung, will discuss how additive manufacturing at Deutsche Bahn is revolutionizing spare parts supply. In the past two years, 1,500 parts have already been produced using additive manufacturing. Fresenborg will share his wide experience of how Deutsche Bahn is selecting suitable spare parts for 3D printing and how exactly this production technology is being implemented within the company. For more information about the conference and a detailed program, visit formnext.com/conference. At the next formnext exhibition and conference (14 –17 November 2017) in Frankfurt am Main, the year’s competition entries will be on display in the purmundus challenge area. The 2017 awards, which include a total of € 6,000 in cash and other attractive prizes, will then be presented at a ceremony scheduled for 16 November. Rounding out the purmundus challenge will be this year’s audience prize, the winner of which will be determined over the course of formnext 2017 by its attendees. formnext powered by tct and the Working Group Additive Manufacturing within Germany’s industry federation of mechanical engineers (VDMA) have just entered into a new partnership. In it, the Working Group Additive Manufacturing will serve as the exhibition’s honorary sponsor. This partnership will enable formnext to further expand its expertise in specific areas of the relevant process chains in additive manufacturing and other cutting-edge industrial production technologies. This year’s exhibition is scheduled to take place on 14 – 17 November in Frankfurt am Main. The key topic areas in this cooperation are to include various levels of training; knowledge transfer; and the advancement of technologies, application methods, and standards and norms. “We’ve been in close contact with the Working Group Additive Manufacturing since 2015, and the in-depth discussions we’ve had have revealed a broad range of potential areas where we can collaborate,” reports Sascha F. Wenzler, Vice President formnext at event organizer Mesago Messe Frankfurt GmbH. Among other topics, the new partners will be focusing on further efforts to promote the use of additive technologies in industrial production and develop new application areas. “In formnext powered by tct, we’ll be working with the leading global platform where the world leaders in additive technologies and state-of-the-art production techniques come together with international decision-makers from a wide variety of user industries,” states the Working Group Additive Manufacturing director Dr. Markus Heering. For the members of the Working Group Additive Manufacturing and the VDMA at large, this sponsorship will present significant opportunities to develop and realize the additional potential afforded by these technologies, including in mechanical engineering and other fields. formnext’s cooperation with the VDMA will already be on display at its 2017 event, where the Working Group Additive Manufacturing is planning to present prominent examples of additive manufacturing in action at its own booth. In doing so, it is hoping to leverage the exhibition as a chance to bring together potential users and development partners from various industries. For more information, please visit formnext.com. Formnext powered by tct (14 – 17 November 2017 in Frankfurt am Main) is organizing this year’s competition in cooperation with the interdisciplinary network MUST 3D Printing. The five winning entrants will receive attractive prizes, including a fully-equipped booth in the international Start-up Area of formnext 2017 and extensive marketing opportunities. The winners will also be given the opportunity to present a product pitch directly at the exhibition. “For the last three years, the Start-up Challenge has been giving young companies the chance to present themselves and their products to a highly qualified international audience on our innovative exhibition platform,” states Sascha F. Wenzler, Vice President formnext at exhibition organizer Mesago Messe Frankfurt GmbH. Previous winners have shown just how effective this platform can be for start-ups: Since winning the competition, the software and service provider trinckle and the printer manufacturer Sinterit have evolved into successful enterprises that have established themselves firmly on the market. They will also be exhibiting their accomplishments at formnext 2017. Any up-and-coming company with a product or service that is market-ready in terms of customers, product status, and revenue can take part in the formnext Start-up Challenge, provided the start-up is not majority-owned by an established company. A high-profile jury made up of recognized representatives from the realms of science, industry, and investment will select the five winning entries. The winners will be announced in the fall of 2017. For more information, see formnext.com/startupchallenge. The closing date for entries is 7 July 2017.